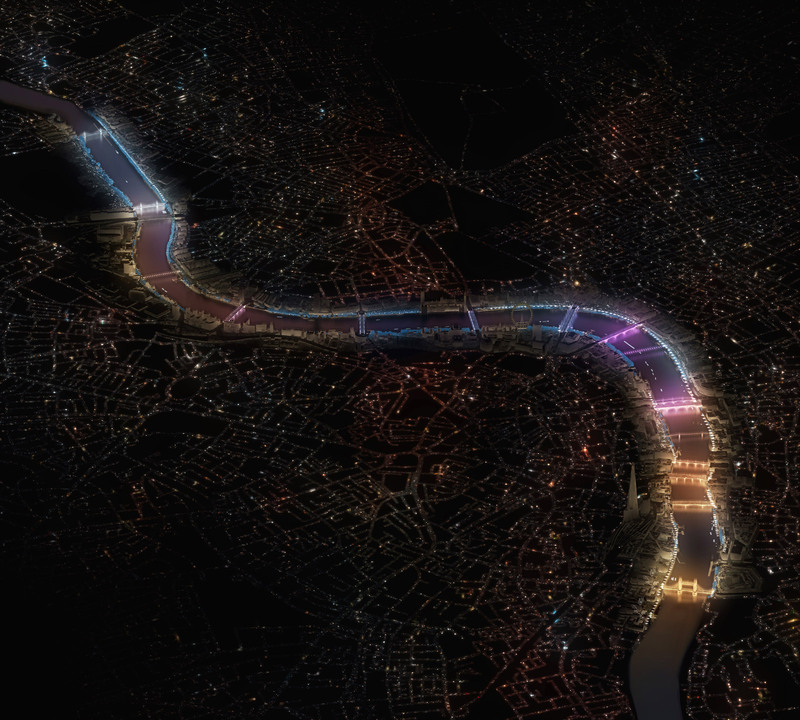 A competition to light central London’s 17 Thames bridges was won by New York-based artist Leo Villareal with London-based firms Lifschutz Davidson Sandilands and Future\Pace. The competition had 105 teams enter; they were was whittled down to a shortlist of six teams led by the practices of David Adjaye, Amanda Levete Architects Sam Jacob Studio, Diller Scofidio + Renfro, and Lyon-based practice Les Éclairagistes Associés. The Villareal team developed a concept for each of bridges to unify the river after dark. However, they will continue to refine their scheme in collaboration with various stakeholders along the famed waterway. The winning international team included: Atelier Ten, Beckett Rankine, Bradley Hemmings, Core Five, Ed Manning, Futurecity, Greenwich + Docklands International Festival, MBNA Thames Clippers, Montagu Evans, and Price & Myers.